We know that the standard of art at St. Margaret’s is pretty special – now here is your chance to come along and take a good look at some of the brilliant work. 3rd – 5th April in the Library and the Gallery – at either end of the school day for any of our parents who want to drop in. If you are not a current parent but would like to come along please contact us for further information – everybody is very welcome! 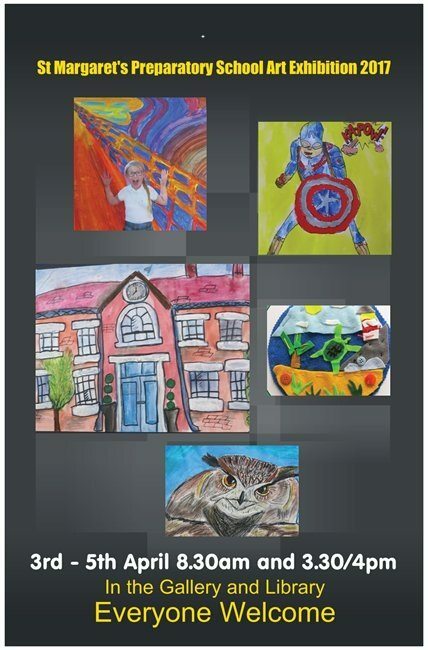 Where possible we show a huge variety of work around the school, in classrooms, in the corridors and in the Art room, but this exhibition will allow us to show off a much larger selection.